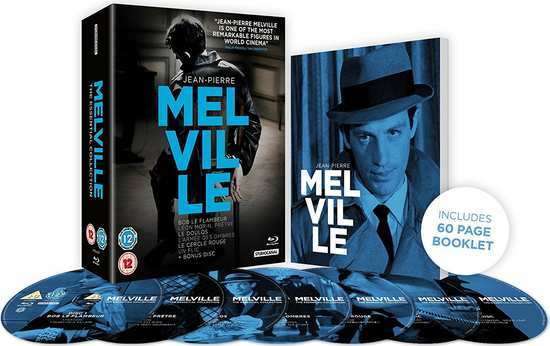 This new high-definition Blu-Ray box set, collects six of French Director, Jean-Pierre Melville’s finest films, created in honour of his centenary. Every film in the set is really top-notch and if, like me, you already own and treasure the previously issued DVD set of the same six, the high-definition transfers and 4K restorations, as well as some all-new contextual extras, really do make upgrading worthwhile. 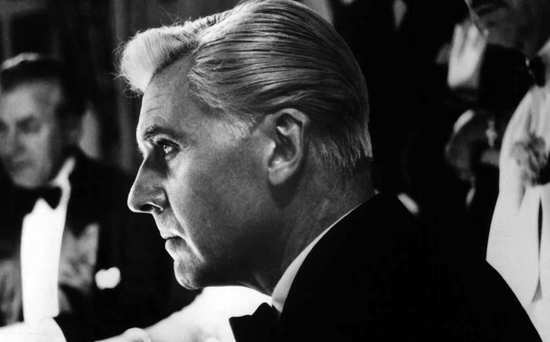 Melville can be seen very much as an ‘auteur’ with some trademark qualities that can be found in every film in the set. These include his ease with little dialogue or music; his love of Amrican film-noir and the underworld and his use of moving cameras. Whilst the films vary in their stories (from traditional gangster films, through to a couple dealing with German occupation in WWII, through to hard-boiled, gritty contemporary detective procedurals, his love of societies within society, with their hidden rules around loyalty and betrayal, are ever present. As a result, he is still seen by many as one of the most original filmmakers of his generation, the ‘godfather’ of the French New Wave and a huge influence on people like Tarantino, Godard and Johnnie To. Jean-Pierre Grumbach (changing his name to Melville later as he likeD the American author) was a huge fan of American movies and admired William Wyler and John Huston among many others, devouring their output, and often forensically viewing them many times to unpick their magic. But unlike these great Directors, there was no Hollywood style studio in France able to fund his ambitious work. As a result, like many European auteurs, he had to work independently, raising finance where he could to create such early master-works as Les Enfants Terribles and Bob le Flambeur (Bob the Gambler). These soon become beloved by the so-called French New Wave who saw in them a gritty authenticity. Whilst this set excludes ‘Les Enfants Terribles’, it does include six of his very best and most defining films. 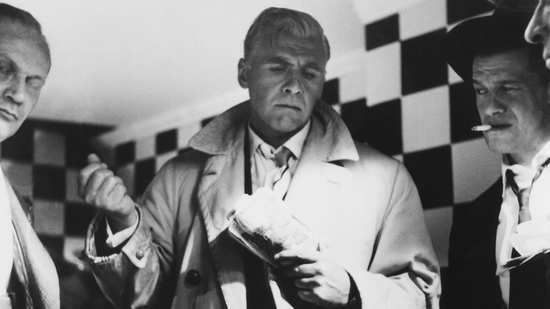 Whilst ‘Bob the Gambler’ can be seen pretty much as a film noir (and a very good one at that) it is suffused with an undeniable French style too which, when combined with the hard-boiled homage to the US gangster film, creates something utterly unique. Not only is this a hard-hitting crime movie, it’s also a dramatic study of a man’s addiction to gambling – and the tragedy that this, despite other success, will inevitably lead to his downfall. It’s also a study of aging with Bob and his partner no longer the young guns they once were, with time running out to make their final fortune to set them up for their old age. The film oozes style from the off and it’s little wonder that it was held in such esteem by the French New Wave. In Paris, Bob Montagne (Roger Duchesne) is synonymous with gambling -- and winning. He is kind, classy and well-liked by virtually everyone in town, including police inspector Ledru (Guy Decomble). However, when Bob's luck turns sour, he begins to lose friends and, realising he is in his twilight years, makes the most desperate gamble of his life: to rob the Deauville casino during Grand Prix weekend, when the vaults are full. The 4K restoration (here presented in standard HD) is breathtakingly good in what is an almost flawless transfer, reflecting the moody, high contrast monochrome image to great effect. Also included is a very worthwhile, brand-new 20 minute contextual documentary on Melville and ‘Bob the Flambeur’ by the film critic, Dominique Maillet. 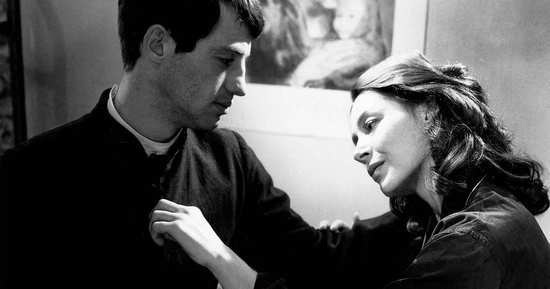 Jean-Paul Belmondo delivers a subtly sensual performance as the titular character in Léon Morin, Priest In a French town during the Occupation – with thick, sensual lips and sleepy eyes, he is far from a stereotypical village priest. Barny (Emmanuelle Riva) is a young, wayward, sexually frustrated widow living with her young daughter. She is a communist militant who long ago decided that the it’s best to keep your head down in order to survive – despite her distaste at the German presence in her small town. One day Barny enters a church, randomly chooses a priest to confess to and, while in confessional, attempts to provoke him by criticizing Catholicism. 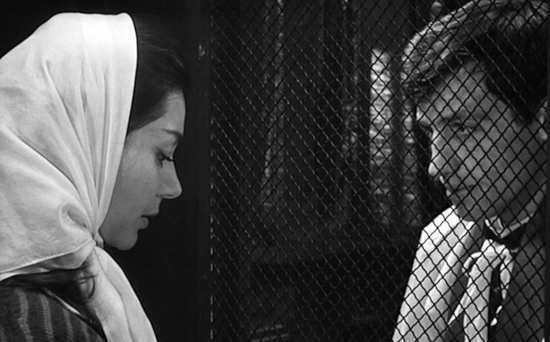 Instead of being affronted, the priest engages her in an intellectual discussion regarding religion. The priest is Léon Morin. Young, handsome, smart and altruistic, who invites Barny to continue the conversation outside of confessional. She begins regularly seeing him and is impressed by his moral strength, while he makes it his mission to steer her onto the right path. Throughout the film there are many moments of unfulfilled sexual tension. Unusually for the day (1940s as presented in early 1960s) we learn that Barny has feelings for a female colleague. She also has similar feelings for the priest who it seems might reciprocate – were it not for his vows. ‘Racy’ was probably a term used to describe such content back in the day. Although it is, to a large degree, a pot-boiling melodrama, it’s delivered with an intelligent air and is masterfully directed with some beautiful cinematography, perfectly reflected in this 4K restored version. The disc comes with a brand new hour long ‘Master Class’ with Philippe Labro (friend and apprentice of Melville) and Rémy Grumbach (Melville’s nephew). This is set on a small stage, presumably at a screening. 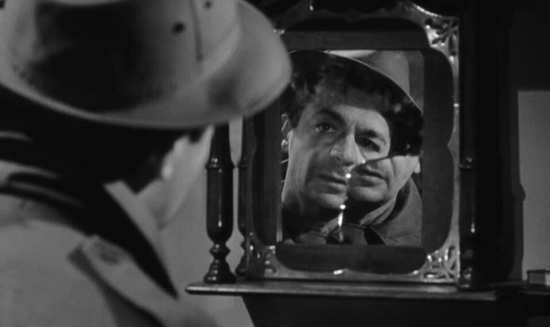 ‘Le Doulos’ (slang for ‘informant’) is a defining film for Melville, arguably his most pure noir whilst also reflecting his continuing obsession with questions of loyalty and community. It paints a grim picture of the criminal life where no one is to be trusted and the rule of the game seems to be ‘lie or die’. It’s a film full of shadows, both metaphorically and physically, with superb black and white cinematography, the very equal of the best of American 1940s/50s Film Noir. Having recently been released from prison, burglar Maurice Faugel (Serge Reggiani) murders his friend Gilbert Vanovre (René Lefèvre) and steals valuable jewels from a significant heist. 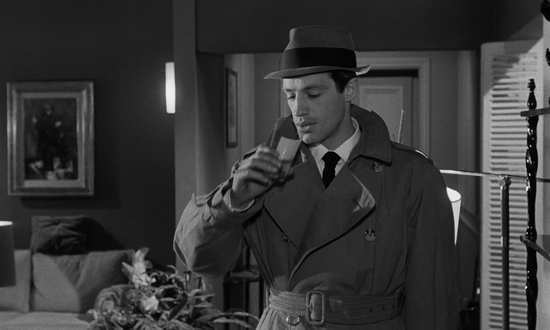 As Maurice prepares for another burglary, his friend Silien (Jean-Paul Belmondo) brings him the necessary equipment. What Maurice doesn't know, however, is that Silien is a police informant. Having hidden the jewels by burying them near a lamppost in a remote path by a railway, along with the gun used to shoot his friend, Maurice figures he now has a nest egg. However, real life isn’t like that, and he too becomes subject to double-dealings will conspire to bring him down. It’s a complex film that shows Maurice to have incredible survival instincts. Running at just over 100 minutes, it’s a film that plays out in a heartbeat – all pace and intrigue. 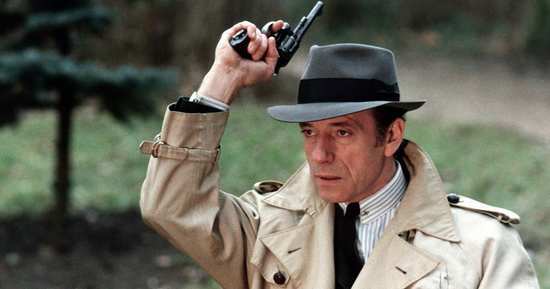 Shot and edited with Melville’s trademark cool and featuring masterfully stylised dialogue and performances, Le Doulos is one of the filmmaker’s most gripping crime dramas. The set comes with a new 20-minute interview with the first assistant director on the film, Volker Schlondorff, reflecting on what it was like working with ‘the master’. This lengthy masterpiece, running at 2hours and 20-minutes, may be stylistically different than the previous films in this set (it has much more fluid hand-held camerawork on occasion) and have a different subject matter, but it’s pure Melville all the same. This time, it’s not the underworld of gangsters as his theme, but rather the underworld of the French Resitance – and the parallels between the two are notable. Apparently, the film remained unreleased in the US for 37 years, until 2006, when it had an arthouse theatrical run to great critical acclaim. It is, without doubt, a very special film and one which the Director had always wanted to make. Featuring Lino Ventura, Paul Meurisse, Jean-Pierre Cassel, and Simone Signoret as intrepid and incredibly courageous underground fighters who must grapple with their conception of honour in their battle against Hitler’s regime. Not only is as intense as any thriller (they are behind enemy lines after all) but the questions around morality and honour that are raised are truly though-provoking. Rigghteousness and war and never as black and white as we would like them to be. A memorable scene, for example, is the clumsy killing of a friend and colleague turned informer. The group know it must be done but they struggle to bring themselves to do it, ending the affair in a clumsy, pathetic killing that leaves them all sickened. Yet the job must be done. 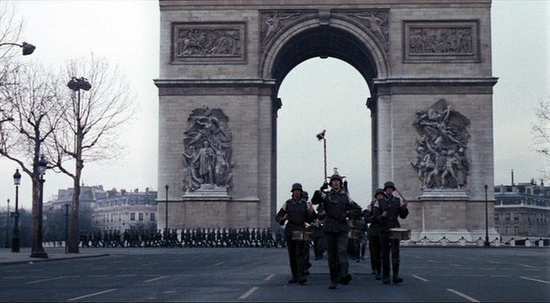 It’s a recommended film too for its gritty, no holds barred, portrayal of an often over-looked element of the war and the courage of those engaged with the fight against the Nazis from within occupied France. It comes with a feature length documentary too – ‘L'armée des ombres... le dessous des cartes” (Army of Shadows: the hidden side of the story) documentary, which brings historic context to the film’ subject matter as well as on the making of the film itself. Essential viewing. 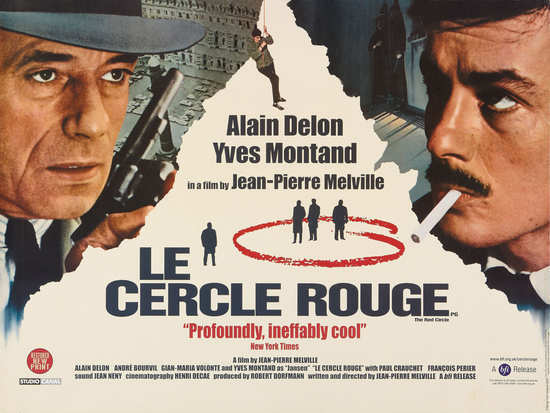 Le Cercle Rouge is a film that exudes cool from the moment its opening titles roll. When English criminal Corey (Alain Delon) gets released from prison, he resolves to never return. 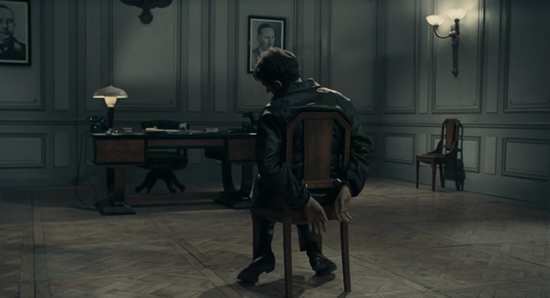 Crossing paths with a notorious prison escapee (Gian Maria Volonté) and an alcoholic ex-cop (Yves Montand), he nevertheless agrees to undertake an intricate heist with his unlikely accomplices. Soon, a relentless inspector (Bourvil) and the gang’s own pasts contrive to seal their fates. All the Melville trademarks are here – honour (and dis-honour among thieves); the quiet, cool gangsters who know no fear; the gnarled detective on their trail. This is not only a wildly entertaining film, it’s a veritable cinematic masterclass in top-notch storytelling. Again, the transfer is excellent though there remains (which is quite right) a filmic grain which was becoming somewhat fashionable at the time; a back-lash against the hyper-realism of technicolor perhaps. The disc comes packed with extras too. 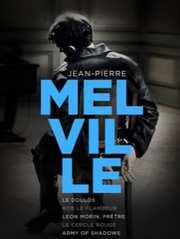 First up is an 80 minute documentary profile of the director ‘Code Name Melville’, which is illuminating. There are also Interviews with first assistant director Bernard Stora and novelist José Giovani, which run 30 minutes and 15 minutes respectively. Finally there is a 20 minute appraisal of the director by Melville expert and French-born British-based academic who is a Professor of Film Studies at King's College London, Ginette Vincendeau. Last up in the set, and actually Melville’s final feature, Un Flic is an incredibly stylish and psychologically thrilling film set in contemporary Paris. 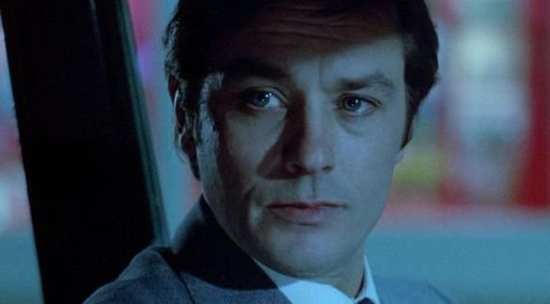 Police chief Edouard Coleman’s (played by the very cool Alain Delon), has spent his life investigating violent crimes. This hasn’t been good for his psyche; he has become cold, cynical and brutally focused on getting results. After beginning an affair with a beautiful but equally cold woman named Cathy (Catherine Deneuve), he befriends her boyfriend, Simon (Richard Crenna), a local nightclub owner. Unbeknownst to Edouard, however, Simon is also a ruthless bank robber and drug smuggler who is planning one final heist. Edouard is forced to pursue Simon after learning his true identity. 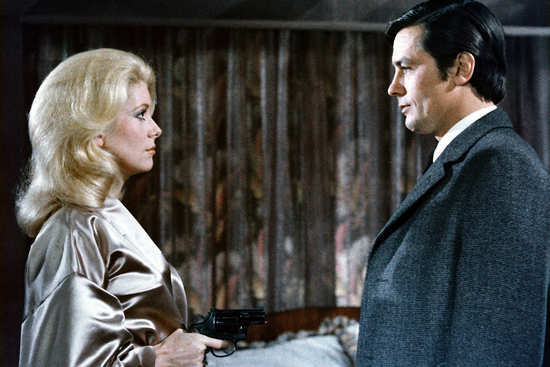 ‘Un Flic’ pulls no punches and is perhaps one of Melville’s most relentlessly violent films. But it’s also among his most compelling – its 90 minutes fly by and there are plenty of edge of the seat moments throughout. The world populated by Edouard is brutal, cold and uncaring. It’s dog eat dog and there is no room for sentimentality. Again, an excellent transfer and the disc comes with a 25 minute documentary featuring interviews with Un Flic’s script supervisor, Florence Moncorgé-Gabin and first assistant director Jean-François Delon. Although I didn’t receive it as part of the review edition, the set apparently ships with a Bonus disc which contains a 50 minute documentary; ‘In the mood for Melville’ as well as a Melville short (22 mins) ‘24 Heures de la vie d'un clown’. Though released at the very tail end of last year, the set is the perfect way to get the New Year off to a flying start. Box Sets don’t come much better than this where every film therein is masterclass material. This edition houses some excellent new transfers and, as a result, I think it probably is worth upgrading, even if, like me, you have the previously issued DVD set. Excellent stuff!